Andrew Gura is a Los-Angeles based director and photographer. 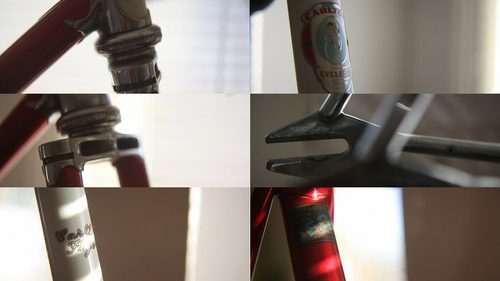 He’s been experimenting with Anamorphic video by using his beautiful track bikes as subjects. This first one is of his Carlton flyer track frame. Here’s his properly-built, period-correct Pogliaghi pista. Such a nice bike! See some of his videos here and keep watch for an edit of these two bikes shortly!